10. EMPI Driver's Jacket. Way cool and way retro. Find it for $41.95 at Doghouse Repair. 9. The Reproduction Okrasa Kit from Wolfsburg West. Original speed tuning for your 36 HP engine at your fingertips. A mere $1400. Find it here. 8. 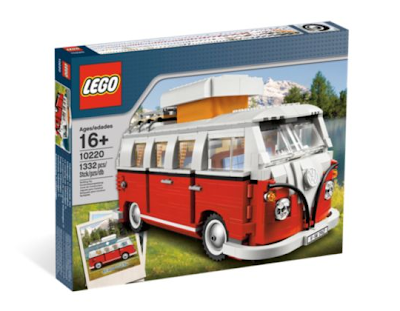 The 1962 VW Camper Kit from Lego. Here's the deal. I've never spent anywhere close to this for a box of Legos. But there is something tempting about this thing. Buy direct from Lego for 119.99 here. 7. A BodesWell.com t-shirt. 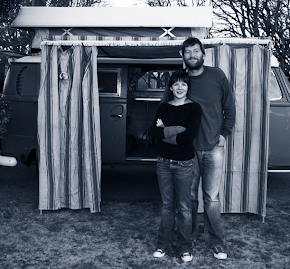 Support some pretty cool volks on a VW adventure and get a t-shirt out of the deal. Not bad at all. Buy one for 19.99 to 25.99 here. 6. 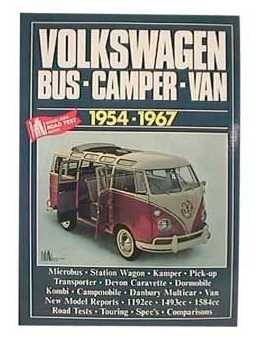 Bus-Camper-Van History & Road-Test Book (1954-1967). Awesome. Seriously - A chance to read the original articles. I dig it. Get it for $15.95 at GoWesty. 5. 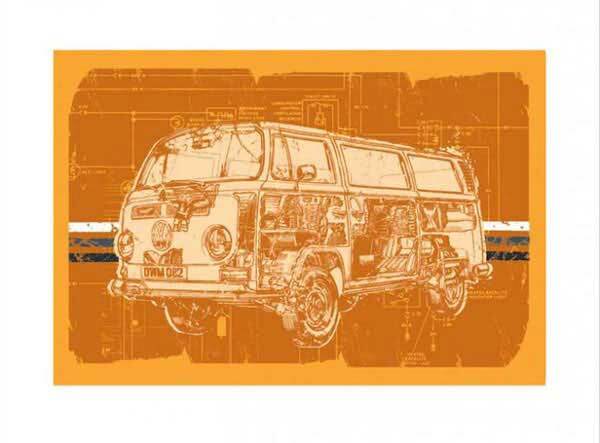 The Haynes VW bus poster. There seems to be 2 sizes of this poster available. Go big or go home. Will look perfect on the wall of the garage. Get it at barewalls.com for $43.31. 4. "German City" poster by Peter Aschwanden. Anyone who reads this blog knows the love I have for the illustrations from Muir's Idiot Book. And you can own posters of that artwork. Way cool. There are 4 VW related posters available, but, along with "Exploded Beetle", "German City" is an amazing piece of work. Buy it at PeterAschwanden.com for $40. 3. VW "Bounce Bus". Okay - so only one person can get this. 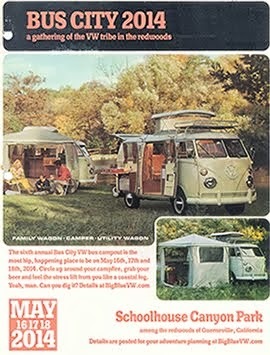 Buy for $60,000, you could be the star of the next VW Camper Family campout. Get it at Old Bug for $60,000. 2. 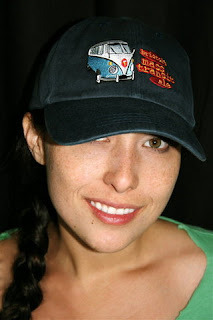 Mass Transit Ale hat - Okay, so if you can find the beer, buy that. But they can't ship that, so the next best thing is a Mass Transit Ale hat. Find it at Bristol Brewing in Colorado for $16.00. 1. Big Blue is a Friend of Mine Sticker. Yes, the sticker is back. we just ordered some more. Modeled after the famous "Johnny Cash is a Friend of Mine", this sticker can be yours for the low, low price of free, and a little patience. 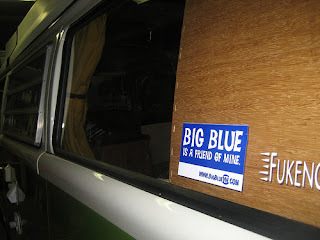 If you want one, send your address in an email to BigBlueVW at gmail dot com and we'll get one out to you. Before the holidays come, we promise. Great list! I have been a few times to the Bristol Brewery in Colorado Springs...and the Mass Transit Ale is delicious! We lucky Coloradans can buy it in the liquor stores - I've got a nice sized poster of it I picked up at the brewery in the garage next to Gus - he seems to enjoy it. One cool thing about Bristol Brewery is they have a bus show every year - Buses at the Brewery. Oh yeah, I got the Haynes bus poster for Christmas last year! Steve - That's awesome about the brewery. I bought some of the Mass Transit beer while in Denver and hand delivered a bottle to Paul at Valley Wagon Works here in NorCal. 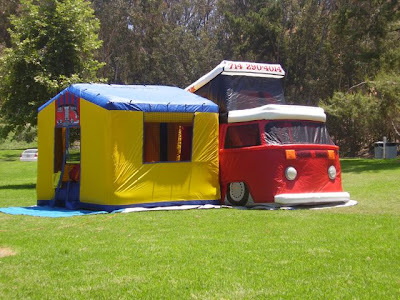 Does the owner have a bus? Share some pictures of the getogether if you ever go! And Mitch, that pillow is AWESOME!